Work at Sangaru’s is informed by a significant commitment to local material and local knowledge. Craftsmen contribute with their traditional knowledge of working with a material efficiently and effectively. At the same time, they are exposed to the design process and learn ways to develop new products - from an idea on paper, to a prototype, and then to the market. The method of making multiple prototypes before we finalize on one that is ready to be produced involves constant interaction and experimentation. We believe that creating good products requires healthy collaboration. Along the way, we as a team are creating new knowledge, innovations and markets to inspire the younger generation to practice and disseminate these sustainable traditional methods. At Sangaru we work to bring together traditional knowledge & skills in crafts with design & technology to make objects of daily use invaluable, accessible and enjoyable. The company was launched with the award winning collection of bamboo furniture called Truss-Me. 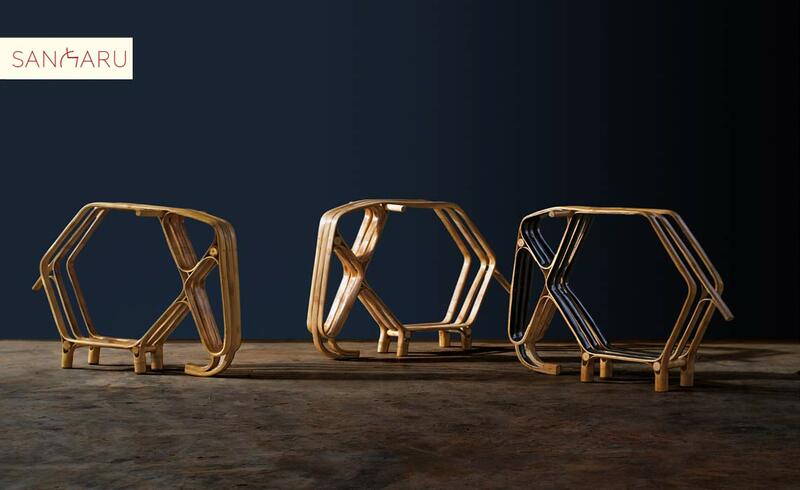 Truss-Me won the Red Dot Design Award- Best of the Best in 2009, followed by Design for Asia Award in 2011 winning both the Grand and Gold awards setting it as a benchmark, to create and inspire many more innovative and useful objects that bring meaning to our environment, traditions and handcrafting. Sandeep Sangaru is a multidisciplinary designer, educator, entrepreneur and a nomad by nature. He studied Industrial design and has specialized in Furniture design from the National Institute of Design, Ahmedabad with a background in Mechanical Engineering. He won the British Council’s Young Creative Entrepreneur Award - Design for Social Impact in 2012.